Shop New Zealand: Sheepskin Boots Like Ugg Boots but better! Global warming does play a role in today's climate change, especially with this year's winter. With common sense it is accurate to say so but not hundred percent sure how. However this has not affected the production of New Zealand's famous Canterbury Sheepskin Boots like UGG boots but better, because of the quality and the genuine wool and leather suede used, to provide customers with comfort and warmth, most importantly save them money. And this is exactly what Canterbury sheepskin products are all about. Providing customers with products that ensures them warmth and comfort, thus explains why in the past 10 years women and men around the world have continuously demand/ordering their products. Looking at one of their many quality fashion forward genuine sheepskin boots. The picture features an Artica Mid Calf Sheepskin Boots, with an upper 15-17mm wool pile, the side is stitched rubber sole with steel profile, a suede leather lacing tied at the back, with a spilled wool on side seams, back seam and top of boots to give that extra warm and style, the suede is also a leather heel and toe guard, a heat keeper on inner sole of boots, a heat set and shaped heel support and cushioned removable sheepskin insole to give that long lasting feel to it. Get Warm this Winter with Quality Long Lasting boots. 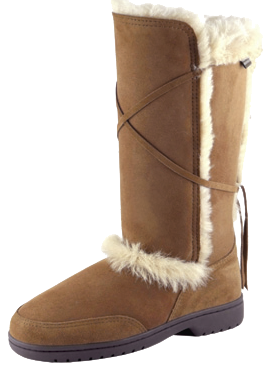 Check out the huge range of unisex sheepskin quality boots here you can choose from.